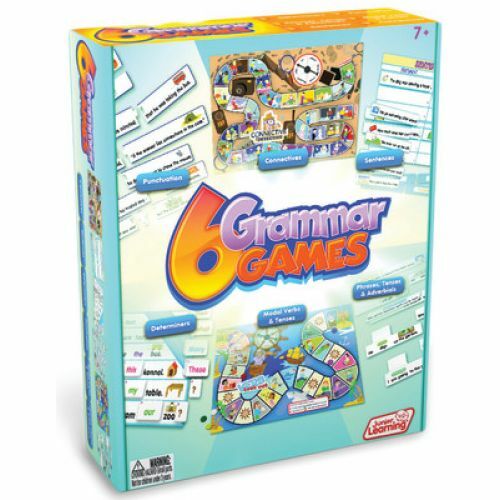 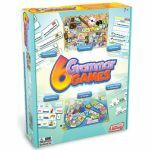 This set of educational games and activities is designed to teach an understanding of grammar. 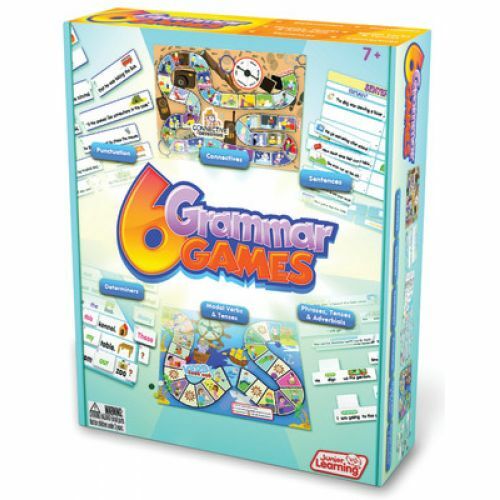 Topics include: punctuation, connectives, sentences, determiners, modal verbs, tenses, phrases and adverbials. 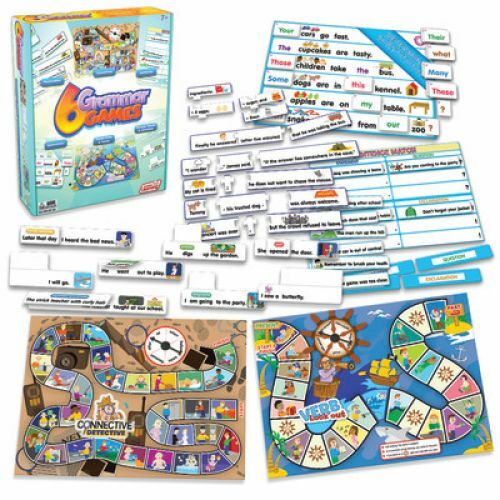 This value pack contains 2 board games, 2 matching games, 14 sentence puzzles, die, spinner and counters. 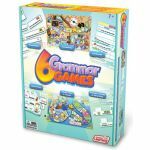 Contains a game guide with instructions.